The biggest sporting event of the year is upon us; Super Bowl Week has begun. As the teams face the media and prepare for war, the Grillfather has a battle plan for your game day menu called the Winter Game Day Series. This year’s entry is Tri Tip and Caramelized Onion Sandwiches with Mustard Aioli, a sandwich fit for a fist while the other is beating the air mercilessly at the TV. Richly marinated, sweetly grilled onions, and with a spicy kick, these sandwiches will bring home the champion grilling prowess. Begin by marinating tri tip steaks in a combination of cider vinegar, Worcestershire sauce, salt, onion powder, chili powder, and black pepper to infuse moisture and flavor throughout the beef. The onions are caramelized in olive oil, red cooking wine, Worcestershire sauce, salt, and pepper to bring the incredible sweetness front and center. The aioli is a simple mixture of mayonnaise, stone ground mustard, and chili powder to bring it all together with creamy texture and spice. Assemble with slices of Swiss cheese on toasted buns for a flavor explosion inspiring your own end zone celebration. So fire up the grill, lay out the spread, and get ready to be this year’s Game Day MVP. Place steaks in resealable plastic bag. Combine marinade ingredients and pour over steaks. Make sure to work marinade well into meat. Seal bag and place into refrigerator for 2 hours. Preheat grill for medium-high heat. While grill is heating up, slice onion and heat olive oil in large skillet on stove. Add onion, salt and black pepper. Allow onion to cook on high for 2 minutes, reduce heat to medium-low and cook for 5 minutes, turning often. Add wine and Worcestershire sauce, let cook for 2-3 minutes. Add stock, reduce heat to low and cook for 15 minutes. Place steaks on grill and cook for 10 minutes turning often. 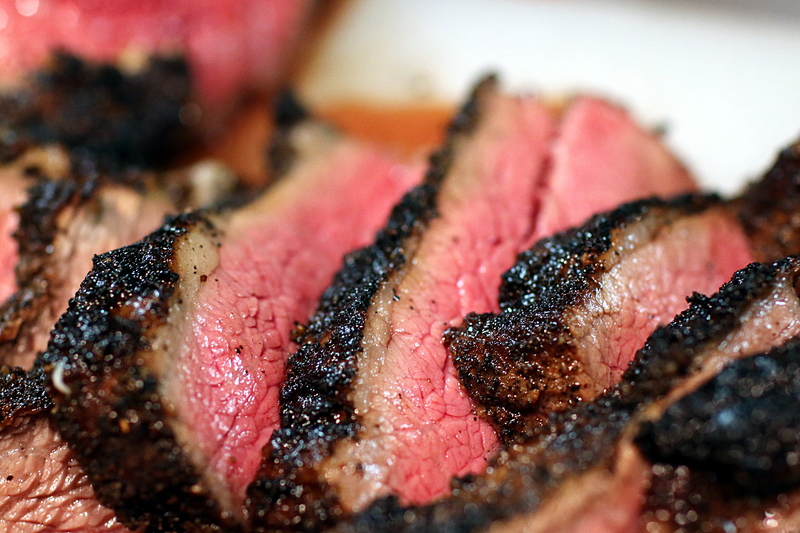 Steaks should cook quickly since they are relatively small and thin. If they are thicker, leave on for an additional 2-3 minutes. Remove from heat and place onto cutting board. Allow meat to rest for a few minutes before slicing. Prepare aioli by combining mayonnaise, mustard and chili powder. If making ahead of time, place into a air tight container and store in fridge for up to 2 days after preparation. To assemble: Place Swiss on lower bun, add 6-8 slices of meat, 1/4 cup/60 mL of caramelized onion, and spread a generous amount of aioli on remaining inside half of bun before topping sandwich.